Tussle and Triumph in conversation with Apurva, CEO and Founder of Tinker Bot, which plans to revolutionize the education space through application of bot through Facebook messenger. Apurva share how he got the idea for Tinker Bot and created the minimum viable product (MVP) and then collaborated with Yash. How did you get the idea for of a Facebook Bot? While studying in my Freshman year at Weber State University, USA; I was researching about Artificial Intelligence and Chat bots along with one of my professors. While studying in the USA, I found out that the way students are taught in there was quite interesting and engaged students completely in the learning processes which created much bigger impact on the minds of the students also the students over there got various options and freedom to choose their own topics of interests to study which was and is not the case in India. This was a major loop hole. I am the CEO & Founder of Tinker Bot. 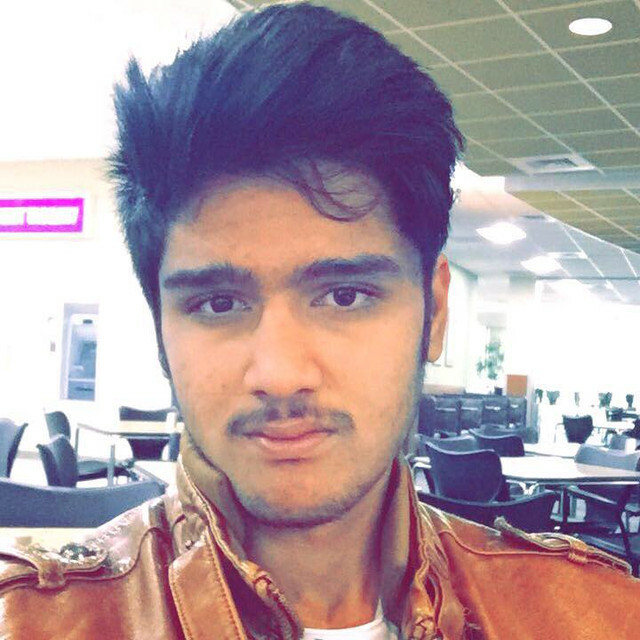 Currently, I am studying Computer Science at Weber State University, Utah, USA. I have, in the past Official Kumbhamela 2015 App for Nashik, India, which helped thousands of pilgrims from all over the world. Also, created 4 other apps which are landing on Google Playstore. Later, I secured patent for designing world’s most Portable Personal Computer. At Tinker Bot, I take care of the technical aspects of the bot. Yash Chavan is a serial entrepreneur from Mumbai, India. His passion lies in creating value. He finds it extremely satisfying to see his ideas become a reality and actually make a difference to someone’s life. He has worked on many different cool projects which make great impact and difference in society. He is geek in coding & digital marketing. He has ethical hacker for more than 2 years and also have internship experience with Cavaton Inc to work on security flaws and bridges. He handles marketing for Tinker Bot and sets all the meetings with potential customers and investors. I and Yash met 3 years ago, when Apurva developed a social network which allowed users to share content without internet and from then their has been no turning back. Indian Education systems provokes mugging up and deters out of the box thinking. To cater this problem we are providing unique solution which will completely engage students in the learning processes. Education is the largest part of any economy or country so we found this problem quite interesting to solve. We are targeting students who wish to learn anything new and the main customer that we are targeting is educational institutions. How did you finance your startup costs? At this point, we are bootstrapping our startup with the profits that we had with our previous startups. At this moment, we are pre-revenue stage company. Our revenue model will be inline with subscription based and freemium based models. We will target small tutors and schools and colleges to get their testimonials and courses which they have to offer and then add them in Tinker Bot, in the form of advertising. The rates start from $12/month for small tutors and $30/month for schools and colleges. There will also be free trial for first 3 months. How did you get your first customer at Tinker Bot? We tried to set up seminar about AI and education system in India in one of the institutions and after the seminar we offered them our product which they loved and agreed to purchase on the perpetual license. The deal is in progress at this point. What is the long term vision of your startup? Our vision is to completely replace the traditional means of education and transform every school in India with Tinker Bot. We are planning to have Tinker Bot in 500 schools by 2020. Being an Indian student, we faced lot of criticism from friends and family telling us not to do business and rather focus on getting degree and secure a safe job. I was never willing to settle for the less and this kept us going. Even today, my family does not support my vision due to the “so called typical middle class mentality”. It never mattered to me as at the end of the day all that matters is my startup and my vision. But yeah, we do know that this is just the beginning, there are many tides yet to come but we are all ready to face them and reach the shore of glory. What is your advice to upcoming start up founders? Try to focus on solving a problem which has affected large number of people and ultimately you will have lot of customers.